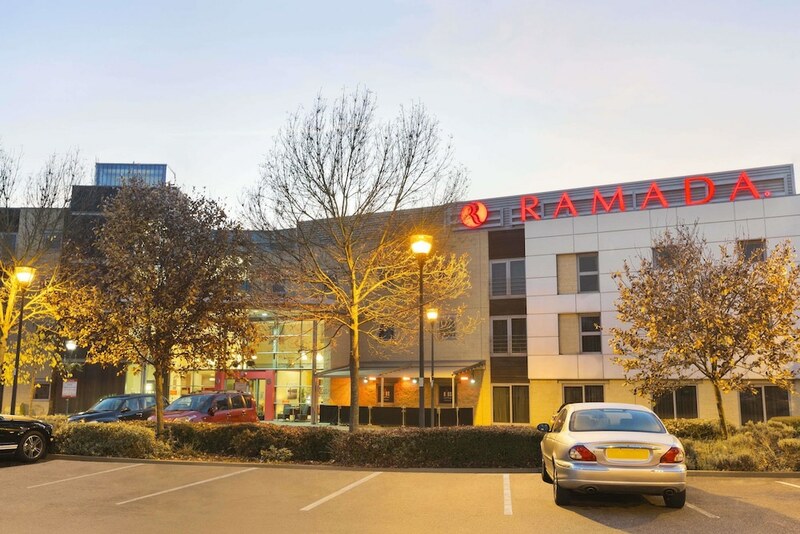 With a stay at Ramada London North M1 in London, you'll be 9.1 mi (14.6 km) from SSE Arena, Wembley and 9.1 mi (14.7 km) from Warner Bros. Studio Tour London. This 4-star hotel is 9.7 mi (15.6 km) from Wembley Stadium and 9.8 mi (15.8 km) from Alexandra Palace. Take advantage of recreation opportunities such as a fitness center, or other amenities including complimentary wireless Internet access and shopping on site. Additional features at this hotel include wedding services and a reception hall. Grab a bite at Eat IN, one of the hotel's 2 restaurants, or stay in and take advantage of the room service (during limited hours). Snacks are also available at the coffee shop/café. Wrap up your day with a drink at the bar/lounge. Buffet breakfasts are available daily for a fee. Featured amenities include complimentary newspapers in the lobby, a 24-hour front desk, and a safe deposit box at the front desk. Planning an event in London? This hotel features 980 square feet (91 square meters) of event facilities. Free self parking is available onsite.